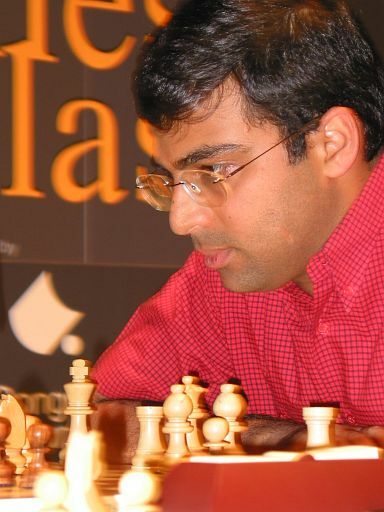 Former FIDE World Champion Viswanathan Anand: "The chess world can't go on like this"
Mr. Anand you have regretted that "politics has taken over chess". Please tell us more about your point of view at the top. Politics has been part of chess since 1993 since I can remember. I hope that there is a final silver lining. The situation is a complete mess. The chess world can't go on like this. The last three years was a circus. We all hope that there will be an unification. I think the names are evident. I don't need to take a roll call. Till there is a World Championship cycle this issue is not in my interest to discuss. Because of the prevailing world economic condition it is tough to get sponsors and people are still trying to hold three World Championship matches. And the end result is that you don't have a single marketable person. Two days ago I talked to Alexei Shirov. He claimed that he doesn't care too much about the situation. But it would be a pity for you that you haven't had a chance to grab the world championship title. It is every sportsperson's dream to play for the world title. Was it an advantage that you decided not to care too much about the world championship, as you mentioned last year? The other top players in this "cycle" except Leko - Ponomariov, Kasparov and Kramnik - didn't show their best form. Maybe because of all this stuff, which costs energy and nerves? Chess has grown considerably in India. It is now a major sport in India. The International Age categories receive a lot of Indian participation. This is evidence that Chess is growing at the school level. The Mind Champions Academy a virtual mental gymnasium where children from 2500 schools will be able to dabble with chess and have fun is also being tested. I received the Sportsperson of the year from the Indian edition of the World renowned Laureus Sports Awards. The awards were judged by sports luminaries and a huge cross section of sports journalists. It was a secret ballot so I don't know the rankings. I go to know later that there 5 of the Top sportspersons in contention. It was the first time the awards were held in India. I have been given Sportsperson of the Year Awards many times in the past by leading Sports magazines and by the Government of India. Let's talk about the forthcoming events in Germany: Dortmund and Chess Classic Mainz. What are your expectations? That was then. This is now. I hope to play well and the past isn't important. We are old rivals. I've played some very nice games against her, like my game against her in Roquebrune 1992. I have to play 100%. Except her last defeat vs. Gelfand in a rapid match the no. 1 of the world in women's ranking showed an outstanding performance during the last months. E.g. Polgar was second in Wijk aan Zee (Netherlands) and unbeaten like the winner Anand. Do you see reasons why she made such a progress?